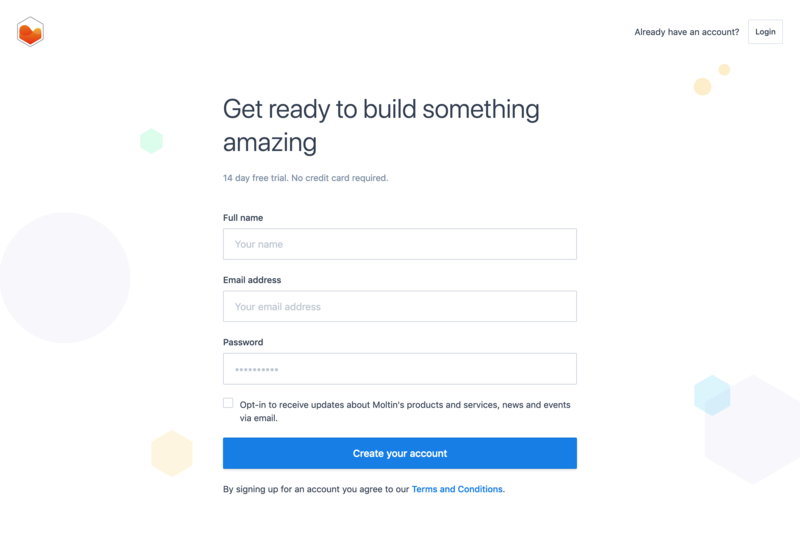 Read about our vision on improved onboarding and what we did so far. There’s nothing more frustrating than finding a great new tool you really want to use, and despite your best efforts it can’t get out of its own way. Whether it’s a really unintuitive interface, or a lack of guidance on how to get started, it can really put you off an otherwise good product. A great tool gets out of your way just enough to make you feel like you’re in the driving seat, while still guiding you through everything you need to know to get started and experience value. As we discussed in our pricing post, we spent a lot of time last year working closely with, and getting feedback from customers. What we found (almost immediately) is that we were failing in this area. It doesn’t feel good to hear that, but knew we had to act on it and find a solution quickly. TL;DR Things could be better. With feedback like this it’s difficult to know where to start, and we had to quickly get hard to work and create a plan on how best to approach this. At the end of last year we put together a crack team, dedicated to resolving these issues, and after literally minutes of debate we decided to start at the most logical place - the beginning. In December we cleaned up the signup process. We reworked the data requirements to balance ease of signup with the business needs. We did a complete redesign to make it a much cleaner and focused experience for everyone; which was also more infitting with the changes in progress for the dashboard. At the end of January, we released a new set of nurture emails designed to provide more relevant information based on the most popular resources, tutorials, and SDKs to help you get started easily. Over time, these will be tweaked, as we create additional resources and analyze the data of how you interact with the new emails. And today I’m super happy to announce the release of our first onboarding piece. An interactive tutorial is now one of the first things a new user is presented with when they land on the dashboard. 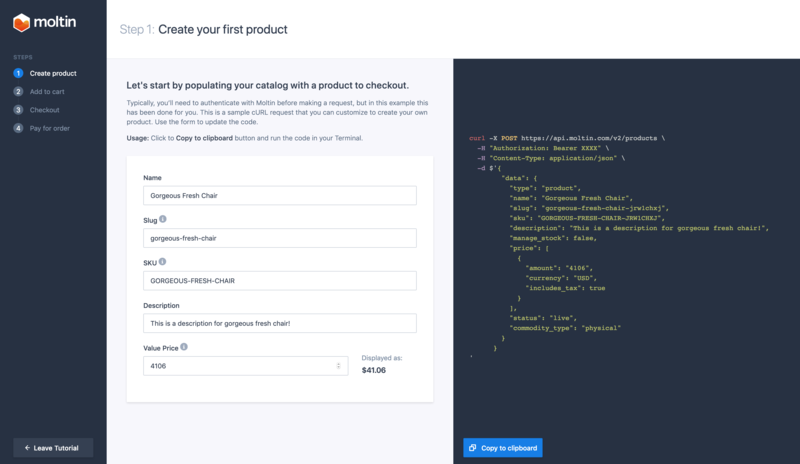 This tutorial will take a user through the essentials of completing your first order in four simple steps! Using interactive elements, cURL requests, and your native terminal we’ll take you through best practices of using the API in a matter of minutes. The requests are all done live, and each step will allow you to view the real objects you’ve created within the dashboard, and provide additional, relevant resources along the way. Take a look at our onboarding tutorial post to learn more about this tool. Additional tutorials for custom data (Flows) and Events. Checklists within the dashboard to guide store setup. Enhanced, user-specific and intuitive content on the dashboard homepage. We’re all excited for you to get your hands on these latest changes, and for everything that’s in the works over the next few months. Feedback on these changes is critical to help us focus and iterate going forward. I’d love to hear from you as you try them out! Reach out if you find a gap during your initial experience, have ideas on improvements, or would just like to share your overall thoughts with us.